You can drop off your Ecobricks at our collection point in Santa Fe! It is a Containment and Compression Device: An Eco Brick is a plastic bottle stuffed full of the inorganic waste materials that persist for hundreds of thousands of years in the environment and eventually find their way back to us via the food chain. It is a Reusable Building Material. An Eco Brick is also a building material that can make modular furniture, garden spaces or even to insulate full scale buildings such as schools and houses. Plastics contained and utilized in this way are removed and “upcycled” from the harmful “downcycles” that poison all of life. Why should I Ecobrick my plastic “waste”? It is Accessible and Effective. Making Ecobricks is one of the easiest ways to take care of the non-biodegradable materials that otherwise might pollute the environment. 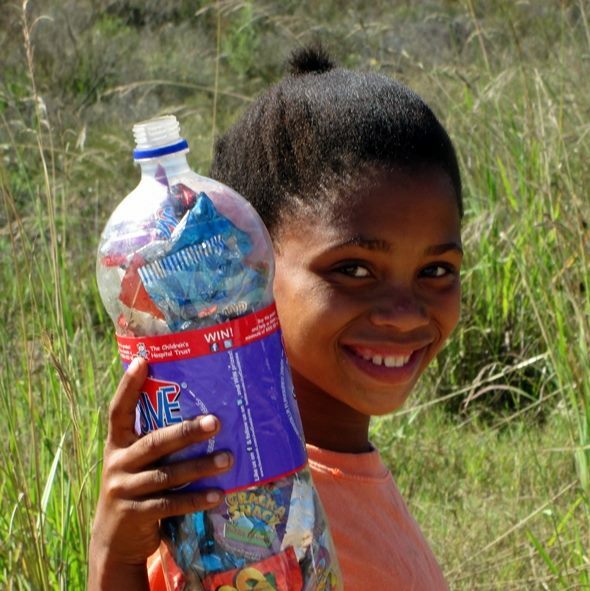 All that is needed to make an Ecobrick is a stick and a plastic bottle. It is therefore one of the cheapest systems of waste management on Earth, available to anyone anywhere plastics are used and where a stick or bar of some sort can be found. Current Plastic Waste Management is More of Less Harmful. Landfill, incineration and even many recycling practices are detrimental to living systems. 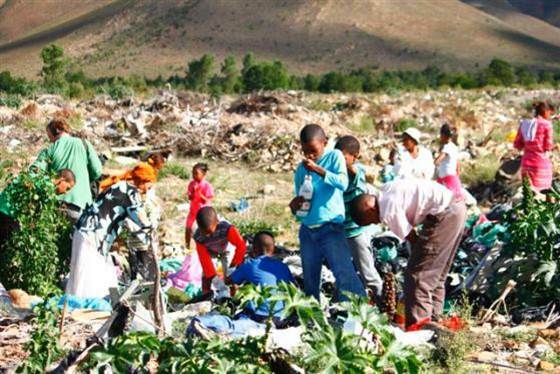 All dumping sites will eventually leak into groundwater, and burning produces extremely toxic chemicals and ash. Recycling is only available for certain materials in certain places (there are no plastics recycling facilities in the state of New Mexico) and recycled products tend to be not only of a lesser quality but off-gas and leach dangerous chemicals at a greater rate. It Builds Community Resilience. Do you really know what happens to the plastics that you send to recycled? It is inherently difficult to know, because they are usually sent hundreds if not thousands of miles away to industrial centers to be processed. When people Ecobrick their plastics, they choose to retain them in a local context, deal with them responsibly, and produce a product of value, rather than assume that for-profit businesses will do the right thing for people or planet. Ecobricks bring people together. They take a long time to stuff and building projects may require many hundreds to thousands of them to be completed. Thus, Ecobrick building projects tend to require the combined efforts of a community, school or workplace. Take a Plastic Bottle – Stuff it Full of “Trash”. All that is needed to make an Ecobrick is a plastic bottle or container of some sort (including paper / laminate milk cartons) and a stick to stuff and compress a whole bunch of random everyday plastic materials inside of it. To start an Ecobrick, take a plastic bottle, rinse it out and leave it to dry. Use a stick to stuff it layer by layer with all of the plastics, non-biodegradables, and synthetics that would otherwise be thrown into a waste bin and eventually the Earth. Make sure each Ecobrick is completely free of wet / food / organic materials that should rather be composted to create new soil. 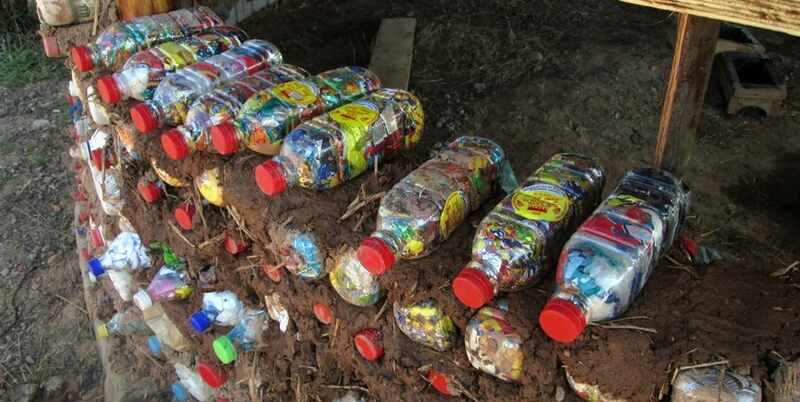 Completed Ecobricks should be so densely stuffed that one can stand on top of them without deforming them too much. What do I do with the Ecobricks that I make? Where can I find out more about Ecobricks?